'Do you believe in the rule of law?' seems an innocuous question. But if someone must ask — when there is only one correct answer — we can take it as a trap. The new ACTU secretary was asked this question on ABC 7.30. To her credit, Sally McManus didn't blink. 'I believe in the rule of law where the law is fair, when the law is right,' she said to host, Leigh Sales. 'But when it's unjust, I don't think there's a problem with breaking it.' Predictably, a new round of anti-union chest-thumping is underway. If any other person had said this in the context of civil and political rights, it might not be so incendiary. Many leaders have uttered versions of it throughout history. Laws are not as neutral as we imagine them to be. They can't be — they are constructed by individuals of immense power, with their own set of values and connections. The Coalition government, hostile to unions, have pursued anti-union laws. There is not enough space here to list other injustices that have been secured through legislation. Perhaps it is enough to remember that the rule of law is often invoked by those who benefit from the status quo. The more unfair the status quo, the more vehement the invocation. For all the tepid verbosity, it does not offer much to chippies who have decided to stop work over a safety breach that has claimed the life of their mate. Under a hostile government, those same democratic processes facilitate anti-worker policies. This means that remedies cannot be limited to parliament. In any case, withholding labour can hardly be characterised as un-democratic. McManus wasn't referring to laws that involve harm to persons or property, but unprotected industrial action. That doesn't make union members criminals, though that is the association that anti-union politicians and pundits want to make. "The concept of permission is simple but critical because it exposes dynamics of power. It relies to some degree, paradoxically, on the cooperation of the employer, against whom action is being made." Illegality regarding industrial action involves whether unions had permission to strike or impose work bans. As McManus points out, 'it shouldn't be so hard for workers in our country to be able to take industrial action when they need to'. The concept of permission is simple but critical because it exposes dynamics of power. It relies to some degree, paradoxically, on the cooperation of the employer, against whom action is being made. It relies on a neutral, fair and prompt arbiter — the Fair Work Commission — which can suspend or terminate protected industrial action or prevent an unprotected one. Unprotected action can come at great cost to workers and unions. That is, they pay the price for not having been given permission to undertake industrial action. Deaths or injury in the workplace, mass redundancies, a living wage — these aren't frivolous grievances. That should be the real focus of discussion when it comes to unions and industrial action. When rhetoric and policies dilute their capacity for bringing legitimate issues to bear, that is how we know who the real thugs are.
" When they gaol a man for striking its a rich mans country yet" , Henry Lawson. That we now have an ACTU Secretary that has upset employers and Labor Party's leader would have pleased Henry Lawson , dinkum unionists and Labor party members. 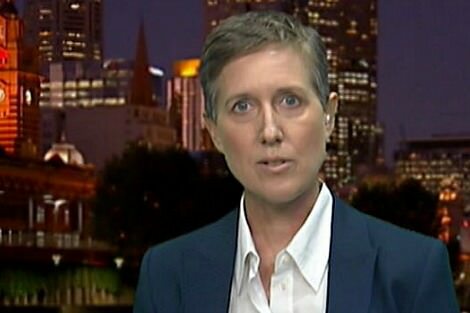 I watched that particular interview with Sally McManus and I must say she seems a no-nonsense sort of person and an articulate advocate. The union movement certainly needs people of her calibre in leadership roles. I understand where she is coming from. Bill Shorten also made a valid point, although we need good government to make good laws and in the present political climate anti-union sentiment prevails. 'Tepid verbosity' - I like it! Whom does a law protect and whom does it free to do good? Jesus had a few things to say about interpretation of the law that harmed and restricted people, rather than enabling true community. I try to live as a Christian, I try to uphold the laws of the land even to the extent of trying to adhere to parking regulations. However, I can easily imagine circumstances in which I would ignore a law which, after due consideration and after contemplation of the possible unintended consequences, I considered unjust. In a relativist world where all values are equal... who then decides which laws are unjust and deserve to be broken? My sentiments exactly. Unions, politicans especially from the centre or left of centre are blamed for the mismanagement of the economy. The surplus was directed to tax cuts by Howard & Costello and not used to ensure our future standard of living or improve the life of our poorest. Dont hear too much of that!!! Fatima, you say "The Coalition government, hostile to unions, have pursued anti-union laws". This gives the impression that these "laws" which are being broken were introduced by the Coalition. They were introduced by the unions themselves through their parliamentary arm, the ALP. Fair-work isn't anti-union, it's anti-worker and has been used by the unions to restrict strike action ever since. As a former union official I campaigned for the right to strike, the lawful strike without penalties, without being ordered back to work or sacked or fined and have published many articles on my blog chriswhiteonline.org The problem is that PM Rudd slammed strikes (despite when in opposition supporting the International Labor Organisations right to strike for workers on economic, social and political issues) and Gillard as IR Minister and later as PM and also Bill Shorten as IR Minister refused to repeal the very repressive WorkChoices/FairWork repression of withdrawing our labour. And the ACTU, despite good policy, agreed without protest. So, when the ALP is again in government, all unions and social groups have to campaign much harder to achieve the right to strike as lawful through our Parliament. Ideally, laws are an attempt to secure and protect justice. Sometimes this outcome is achieved, sometimes not. There is never an obligation to obey an unjust law. Unfortunately, Fatima, for every action there is a reaction. As much as you seek to highlight the historical role of unions as the voice of the voiceless, this role has been often usurped by the business of unionism; of grafting every benefit and advantage of those in the business of unionism, and branching into side enterprise. The entanglement of the CFMEU with bikies, the numerous financial misdeeds of executives, and Shortens awful rolling about in the feeding trough - ordinary Australians do not stomach this. Is it any wonder membership withers as we watch? The comments sparked by Sally McManus statement regarding unjust laws have largely ignored that she was speaking in the context of CFMEU striking because of unsafe worksites where workers died but companies weren't penalised to ensure safety. 'Striking' like protesting constitutes political action that alters perception of laws which may not be perceived as unjust or bad by the powers that be and would therefore not be changed without such action. History is littered with examples of standing up against unjust laws to establish minimum working wage, prevent racial discrimination, lift the British salt tax in India...whoever wrote the laws and whoever acquiesced, the legitimate role of unions in the political sphere has been whittled away leaving many workers vulnerable to exploitation. Sometimes the way to "change the law in a democracy" is by deliberately breaking it. This draws the issue of whether the law is fair and moral to the public attention. As for the right of workers on a building site to walk off the job when a co worker has been killed there is no law that any authority can enforce to prevent it. If a person's life is of so little value that workers are expected "to carry on as usual" we have laws that are inhuman and desperately in need of challenge and change! Reg Wilding, I'm with you as far as your sentiments re The Ballad of 1891, except it wasn't written by Henry Lawson. The attitude of the moneyed class 120 odd years ago is the same as now: "we will break the shearers union, and show we are masters still, they'll take the price we give them, or we'll find the men who will." Come the revolution. Would you break the law in relation to the opening of one of the world's biggest coal mines, the Adani Mine in Queensland's Galilee Basin? I would support you if you did. Global warming is one of the biggest moral challenges of our time and continuing to mine coal is adding to global warming, and the ill-effects to humanity, especiallly those who are poor and least able to respond. When I hear discussions about breaking unjust laws, I immediately think of people like martin Luther King and Nelson Mandela and people like them. Generally, these people are revered except by those on the extreme right of politics. Breaking unjust laws helped bring an end to the racist and apartheid system in South Africa and helped to bring about the end of the immoral US war in Indochina. The Swords into Ploughshares group in the 1990s broke into a British Aerospace factory and damaged the computer of the arms system in a Hawk Attack Aircraft that was being sent to Indonesia to be used against the East Timorese. The group pleaded guilty to the crimes, but argued that they were preventing the more serious crime of genocide. They were let off! So many people hate unions, but having worked in two for over 25 years and being on the ACTU OH&S Committee for 10, I can say that most union officials work long hours to defend the working rights of ordinary workers in Australia and overseas. Yes, there are those who sometimes do the wrong thing, but they are a very small majority and they are not supported by responsible unionists. Sadly, there are those in many other professions who do not do behave as they should. The Prioress in Chaucer's Canterbury Tales had a brooch alluding to Virgil's phrase, 'love conquers all'. In her case, her love for her two lapdogs beat her affection for mere people. But in public life one wonders about the truth of the epigram. Indeed a good case could be made that hatred conquers all, and that it is stronger than love. The advent of Donald Trump with his individual style has occasioned lament that the public world is now dominated by hatred and contempt. But there is nothing new in it. ACTU secretary Sally McManus' comments about the rule of law have sparked a lot of chatter on news and social media. While the rule of law arguably does assume citizens will obey the law, it also assumes government will behave lawfully. Further, it might be argued that the rule of law encompasses the principled application of government power. In this respect, the Australian government is itself falling well below adhering to the rule of law. I offer Centrelink #notmydebt as a case study.